Germany's state-owned Deutsche Bahn rail operator is receiving criticism over its decision to name one of its new trains after Anne Frank. 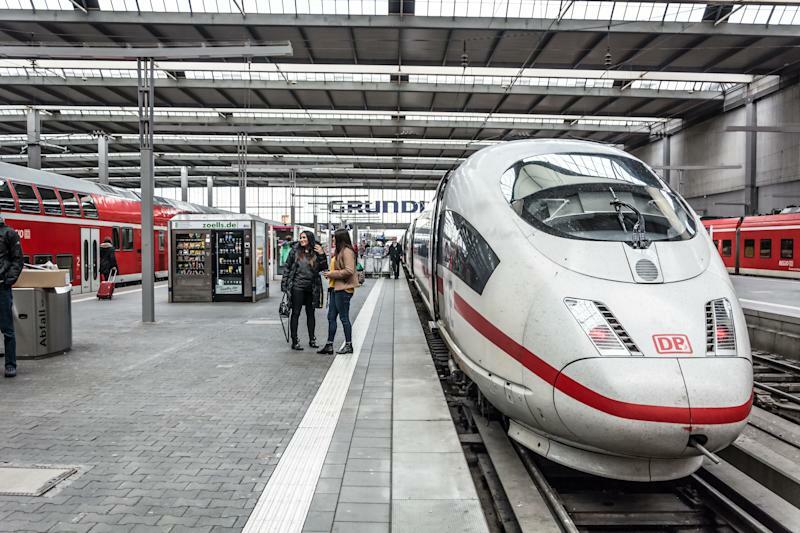 A row has broken out overa German rail operator’s plan to nameone of its new high-speed trains after Holocaust victim and diaristAnne Frank. Critics have accused state-ownedDeutsche Bahnof being “tasteless” and “insensitive” due to the Nazis’ use of its predecessor company,Deutsche Reichsbahn, to transport the teenager and millions of other Jews to their deaths at concentration camps. The teenager was taken by train from her Amsterdam home in the Netherlands, where she wrote her diary, and eventually deported to Auschwitz. She was then transported to the Bergen-Belsen camp, where she died aged 15 in 1945. “The combination of Anne Frank and a train evokes associations with the persecution of the Jewsand the deportations during the Second World War,” the Anne Frank House said in a statement shared on its website Monday. It is “painful for the people who experienced these deportations, and causes fresh pain to those who still bear the consequences of those times within them,” added the nonprofit organization, which preserves the Frank family home in Amsterdam as a museum. Naming a plane, building, park etc after Anne Frank would be fine. But a German train? In this context that would be very insensitive. Well that's rather tasteless. Surely they could have found someone else to commemorate with a train, and something else for Anne Frank. Naming any train anywhere "Anne Frank" would be insensitive IMHO. Deutsche Bahn said it did not intend to disrespect Frank’s memory “in any way whatsoever.” “On the contrary -– aware of the historical responsibility we bear, we made a deliberate decision to help keep Anne Frank’s memory alive,” it said via a statement on its website. “We are very sorry if any feelings were hurt as a result of this decision,” it added. Its proposal to honor Frank came following a public poll in which more than 19,000 people suggested figures of historical importance as the names for 25 new high-speed trains which are set to go into service by 2019. Scientist Albert Einstein and actress-singer Marlene Dietrich were among the other most popular iconic names put forward.